So, you have been invited to a bachelor party for your buddy and honestly, you have no idea what to expect. Thoughts of ‘The Hangover’ movie fill your head, and a picture of a debauched night out full of scantily clad ladies and glamorous locations spring to mind. Then there is the fact that not everyone can afford lavish nights out, or that your groom may simply prefer to spend the night in his local bar with his best buddies around him. 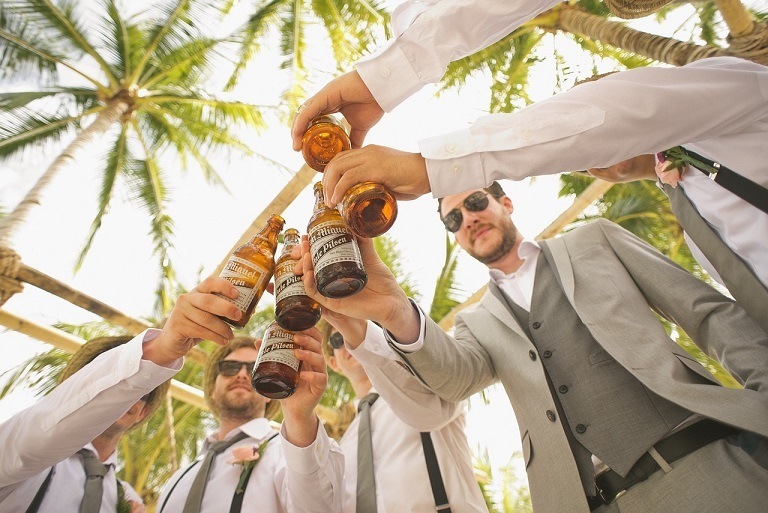 One thing is for sure though, no matter what the venue or the age of the attendees, there are still some tricks that every best man will try to pull when organizing a bachelor party, and ones that you should expect to see coming. You may not want to spend your evening in a sleazy strip bar, and your enlightened male companions may also feel the same way. In these modern times, less and less bachelor parties are including strippers in their plans, and opting to enjoy more unusual activities instead. Boisterous, boozy and badly behaved boys roaming the town causing trouble is a very clichéd image of a bachelor party, and one that isn’t always how the occasion pans out. Taking in to account that you may be a very mixed group, full of guys of different ages with very different interests, most bachelor parties are not quite as decadent as you may think they are going to be. Taking in a show, enjoying a pre-planned event like a food or drink tasting, going bowling, hitting a casino or even taking part in a city ghost walk or an organized bar crawl are often more popular choices than watching the groom be totally embarrassed by a nearly naked lady swaying about in front of him. Where there is fun and frolics, there will always be laughter and pranks. Stripping the groom naked and tying him to a lamp post is more likely to get you arrested these days than ever before, and is therefore becoming a less popular pranking pastime. Instead, you are more likely to be involved in witty, private jokes that are shared between you and your crew. Have your groom be enticed on stage at a drag show, trick him into doing something he usually wouldn't or just out and out lie and convince him that something is happening that really isn't. These more innocuous pranks guarantee lots of laughter and are great for ribbing him about it for many years to come. We would say that nearly all bachelor parties are designed with drinking in mind. But, whereas getting completely wasted use to be the main goal many guys during their night out, there is a definite motion towards more mindful drinking when it comes to modern day events. You can make drinking a part of the celebration, but not the be all and end all. Visit a microbrewery, a whiskey distillery or even a gin palace to enjoy great tasting booze but not get blotto. Also, if you don’t want to drink, you could volunteer to be the designated driver. Your fellow attendees will be very grateful for this at the end of the night as it means they can safely get back to their home or hotel without the need for paying for a taxi or mini bus! Fancy dress can be a great way to ensure that a special night out with friends becomes even more memorable. It’s a harmless way to have a bit of fun and also doesn’t have to break the bank. As a group, you may well have your very own sense of humor that leans towards a particular theme, or the best man may just have decided to make you all look as foolish as possible. Old school blazers, traditional golfing attire or even 80’s themed clothing are all very popular with modern day bachelor parties, while some will simply require you to wear a commemorative t-shirt to mark the occasion. The Last Night of Freedom website has a great selection of fancy dress items of clothing and accessories specifically designed for bachelor parties – so it’s definitely worth checking that out if getting dressed up is going to be a key part of your plans. One benefit of getting dressed up is that the photos taken during the bachelor party will be even more amusing to look back on in the years to come following the event itself. If you have been invited to a bachelor party, it may be difficult to predict what lays ahead for you and your group, particularly if you are not too close to the organizer of the event. However, it’s likely that you will have a good time, whatever has been planned for you all to do. It will certainly be an occasion to remember and a time for the groom-to-be and his close mates to celebrate and blow off a bit of steam before the big day comes around. For all the ladies out there reading this and wondering what goes on during a bachelor party, it is worth noting that these days, the modern man often prefers to shy away from the traditional rite of passage involving strip clubs and heavy drinking.